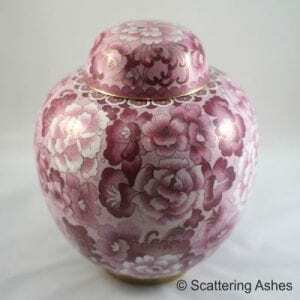 Bespoke Orders Please note that this item can take up to 12 weeks to make from receipt of ashes. 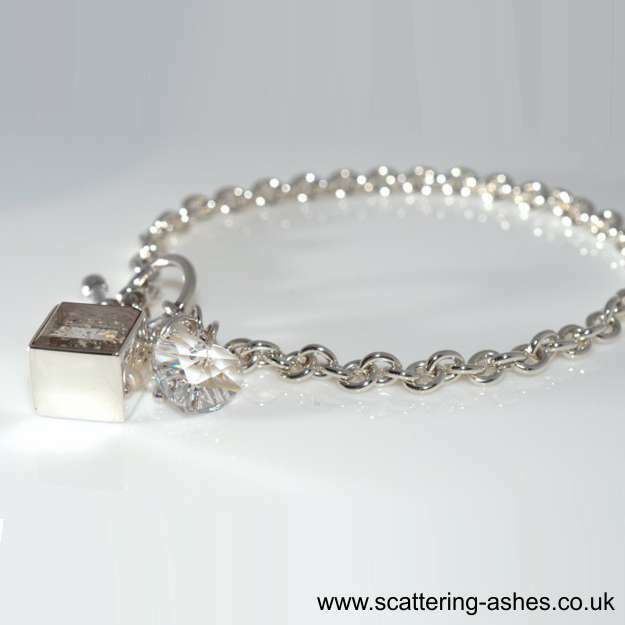 If you have an urgent order we do have other ashes into jewellery items that have a shorter making time or jewellery that comes with a kit for transferring ashes at home. 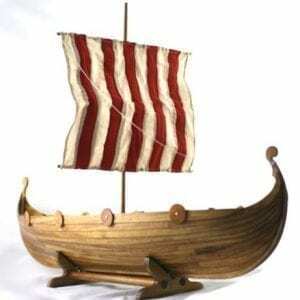 Or why not consider a gift voucher for a loved one instead, it comes with a beautiful card that you can give on the day and also lets the recipient choose their own design or colour – Gift Voucher. Please choose if you would like an engraving, if so please select the number of characters you would like and fill in the box below. 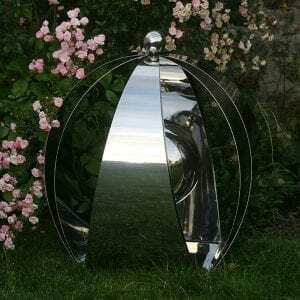 If you have chosen an engraving please type your wording below. 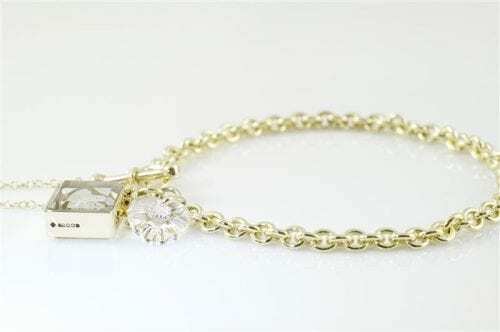 Memorial Bracelet. Our elegant memorial bracelet is 19cm in length and comes with a genuine Swarovski Crystal Heart Charm. 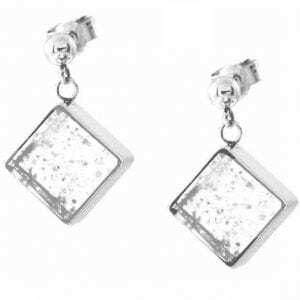 You can choose either 925 silver, 9ct gold or white gold. 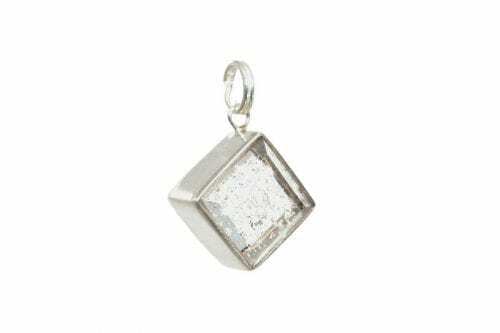 The corner-hung square ashes charm will make it a completely unique keepsake. The plain option comes in clear, aqua, pink or black. 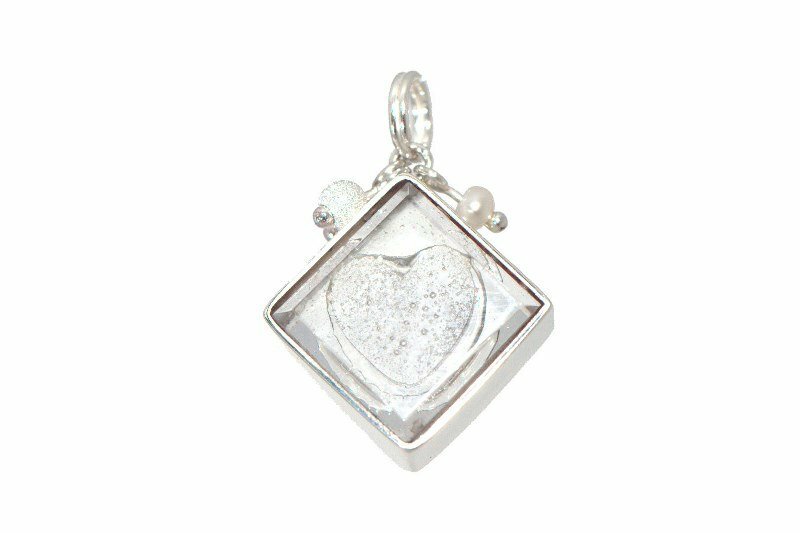 You can also choose an embossed charm where the ashes are placed in a heart shape, the embossed charm also comes with silver and freshwater pearl beads. 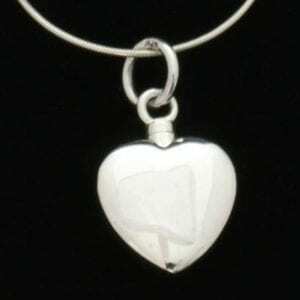 The Swarovski glass heart is a clear crystal which sparkles prettily in the light. The ashes into glass charms are completely unique and you can personalise them even more by engraving them. 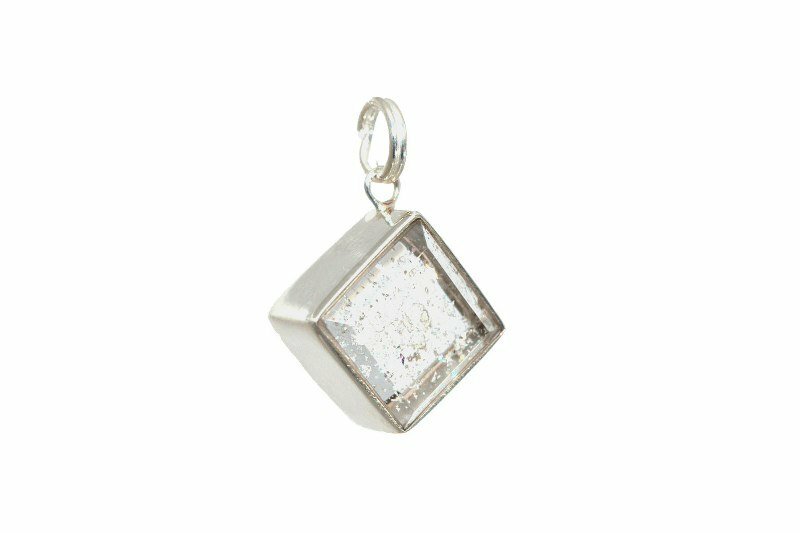 The engraving is etched into silver border of the square charm which holds the ashes. 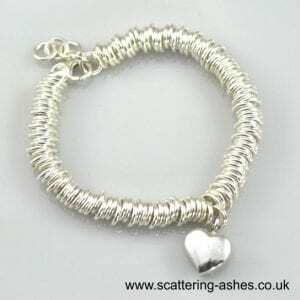 If you choose a charm for your memorial bracelet we will send you a pack so that you can send us a small amount of ashes. 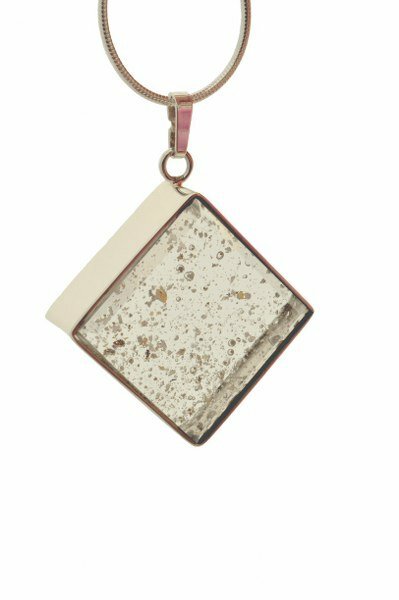 these will then be hand-cast into a unique piece of glass that will made into your keepsake jewellery. 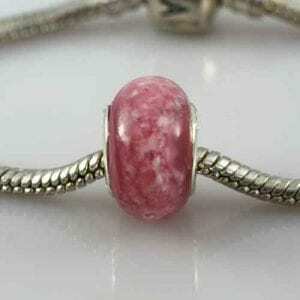 Your memorial bracelet will then be sent securely to you, the whole process takes up to 12 weeks from receipt of ashes.